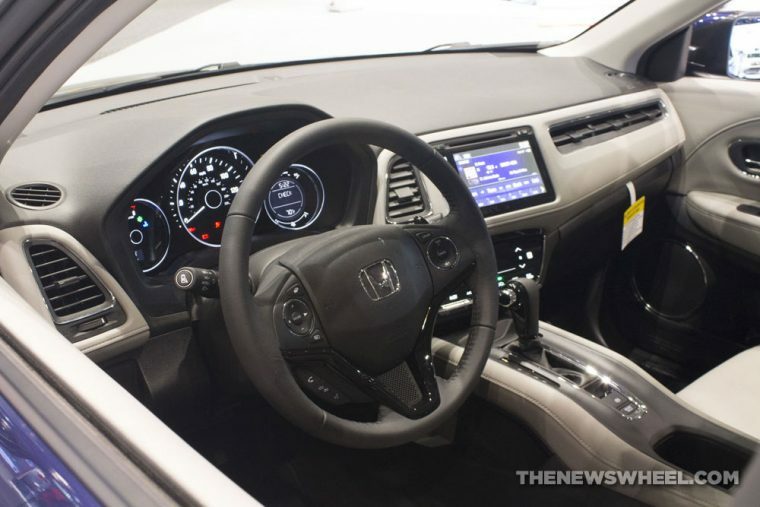 Honda introduced its updated HR-V subcompact crossover for the 2016 model year and it instantly became a hit, moving 82,041 units in the US last year alone. While this model may look similar to the larger Honda CR-V, the new HR-V actually shares its underpinnings with the Honda Fit. As you might have guessed, the HR-V slots in between the Fit and CR-V in the brand’s North American model lineup. 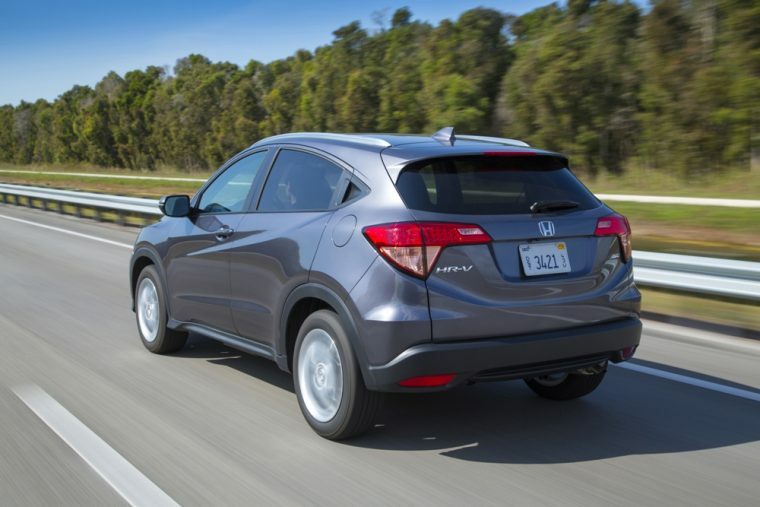 With seating for up to four passengers, the 2017 Honda HR-V is worth considering if you’re looking for a relatively affordable crossover that also earns good fuel mileage. The 2017 Honda HR-V competes for sales with the Chevrolet Trax, Jeep Renegade, and Mazda CX-3. 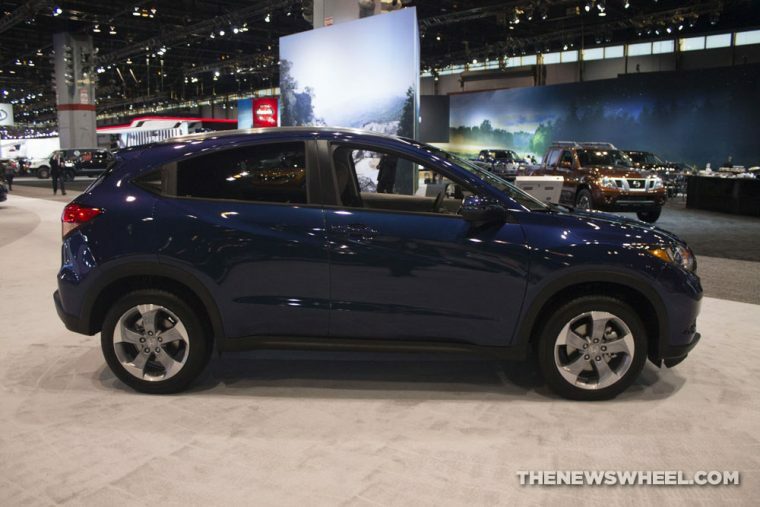 What’s new for the 2017 Honda HR-V? The 2017 Honda HR-V is available with one new color option, which is Lunar Silver metallic. 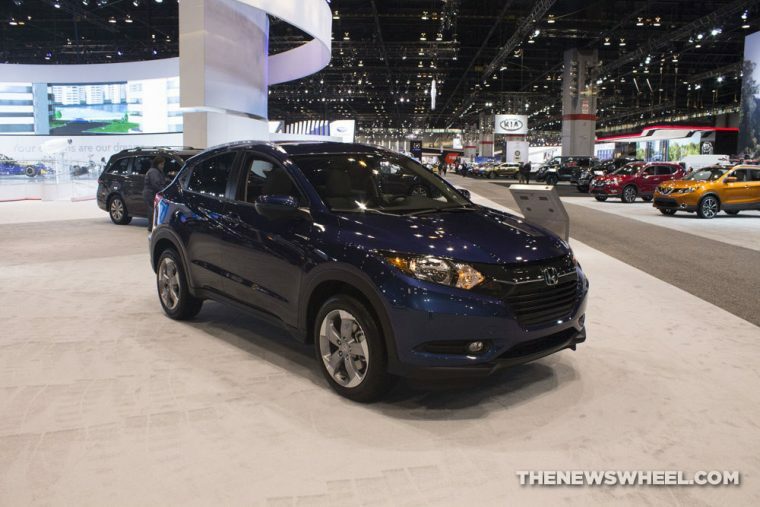 Besides that, the Honda HR-V carries over unchanged from last year’s model. 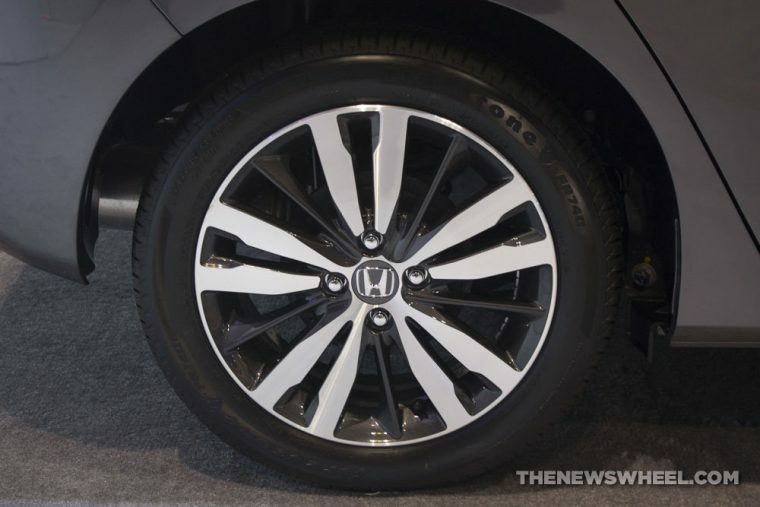 Some people might describe the exterior design of the 2017 Honda HR-V as eccentric, while others might use words like sleek or bold, but one thing we know for sure is that every trim level comes with 17-inch alloy wheels and a sweeping grille that looks very similar to the one featured on the larger CR-V crossover. By limiting the size of the rims to 17-inches, this ensures a compliant and easy-going ride that people have come to expect from small crossovers. You can also see that Honda’s design team used the HR-V’s slanted roofline as a way to make it look more coupe-like, but it’s still difficult to confuse the HR-V with the 2017 Civic coupe. If you’re looking into the 2017 Honda HR-V, then you should know that no matter which trim level you go with, your HR-V crossover will come equipped with a 1.8-liter four-cylinder engine that’s rated at 141 horsepower and 127 lb-ft of torque. To go along with that engine, buyer’s have the choice between a six-speed manual gearbox and a continuously variable transmission (CVT.) In addition, consumers get to choose between standard front-wheel drive and the available all-wheel drive system, which helps the HR-V maintain grip of the road in colder climates that see lots of snow and ice accumulation. What the 2017 Honda HR-V lacks in acceleration, it more than makes up for in fuel economy. That’s because even the entry-level model equipped with the six-speed manual gearbox yields EPA-estimated fuel economy of 25 mpg in the city and 33 mpg on the highway, but if you opt for the available CVT, then you’ll be rewarded with higher efficiency of 28 mpg in the city and 34 mpg on the highway. However, going with the AWD system drops those ratings down to 27 mpg in the city and 31 mpg on the highway. Even the 2017 Honda HR-V is referred to as a subcompact crossover, this model still boasts more than 100-cubic-feet of interior volume, giving both front and rear occupants space to relax and enjoy the HR’V’s smooth ride. One notable feature included with the new Honda HR-V is its second-row Magic Seat, which can fold upward so people can haul larger items like surfboards or mountain bikes. What’s more, every 2017 HR-V comes standard with a rearview camera and four-speaker sound system, while those people who splurge on the top-level EX-L Navi trim will also get leather seats, satelittle radio, and navigation technology. While Honda has a reputation for producing safe and dependable cars, the 2017 Honda HR-V received mixed results in various safety examinations. 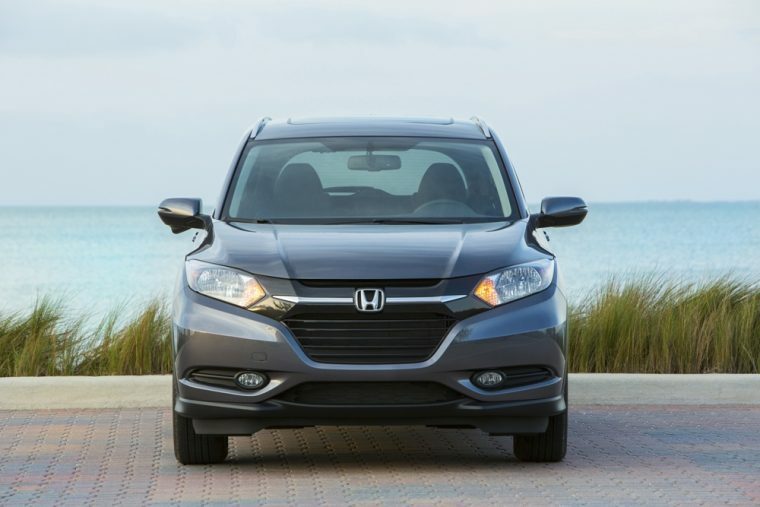 The National Highway Traffic Safety Administration (NHTSA) gave the 2017 HR-V its best possible safety score of five stars, but Honda’s subcompact crossover failed to earn Top Safety Pick honors from the Insurance Institute for Highway Safety (IIHS). The reason for this is because the 2017 HR-V only managed “Acceptable” scores in the small-overlap and side-impact crashworthiness tests. In addition, the 2017 CR-V is available with Honda’s LaneWatch safety system, which helps drivers see when other cars are in their blind spot.